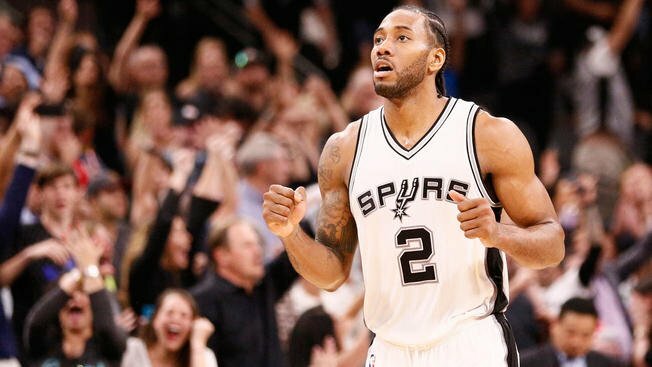 For the last couple weeks, the news out of San Antonio has been Kawhi Leonard wants to go to the Los Angeles Lakers. He’s gone as far as to make comments to the media making it harder for the Spurs to maximize his trade value with anyone else. At first, the Spurs were reluctant to even talk to the Lakers about a trade. But they have since had a change of heart. However, with what the Spurs want for Leonard, it would be shocking if the Lakers pulled the trigger. San Antonio is rumored to be demanding Brandon Ingram, Kyle Kuzma, Josh Hart, two first-round picks, and two draft pick swaps. Basically, the Spurs are telling the Lakers they want them to trade the backbone of the franchise and its future if they want to pair Leonard up with LeBron James. So far, it seems like the Lakers are going to make the sensible decision and pass. The issue James had in Cleveland was a lack of talented players around him. Make the trade, and the Lakers would essentially become the western edition of the Cavaliers. For the time being, it appears as if Leonard is going to be stuck with the Spurs for another season. After making his demands known and the reasons behind them, it will likely not be a very pleasant year. But he only has himself to blame for this predicament. Had he not been so adamant that he would not resign with anyone other than the Lakers, the Spurs would probably have an easier time getting an offer they can live with accepting. He could be in luck, though. Rumor has it that Leonard is leery of playing with James because of the media circus surrounding James. But he’s supposedly talked with James and expressed a desire to play with him, too. He can’t play with LeBron without the media scrutiny, but he can play in LA—for the Clippers. “…I think his options have broadened a little bit, just inside L.A. There’s another team, obviously, in L.A. I think he’d be very much open to the Clippers. This is excellent news for the Spurs. The Lakers have assets to trade. But the 76ers do as well. Of course, it all depends on what Philadelphia is willing to give up. As for the Clippers, with DeAndre Jordan gone, the best they can do is offer draft picks.